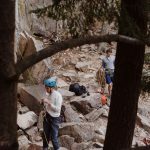 Our mission is to provide an outdoor Frosh option to incoming McGill students in a safe, inclusive, and adventurous way. Outdoor Frosh (OF) allows students to get to know one another in a stress-free environment: the great outdoors. 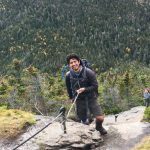 It strives to orient McGill students to the Montreal culture and appreciation for outdoor activity. The best way to make friends is to experience new challenges together. 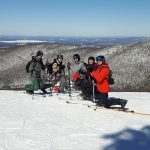 Outdoor Frosh is operated by the McGill Students Outdoors Club (MOC), which runs outdoor trips all year round. If you want to get involved with McGill and mother nature, OF is the place to be! OF was established in 2010 by the MOC. It has grown since its inception, and has been able to include more and more froshies with each passing year. If you would like to get involved (as a coordinator or leader), see our “Get Involved” tab on the right hand side of the OF website. If you would like to join OF as a froshie, registration will be open at the beginning of the summer.